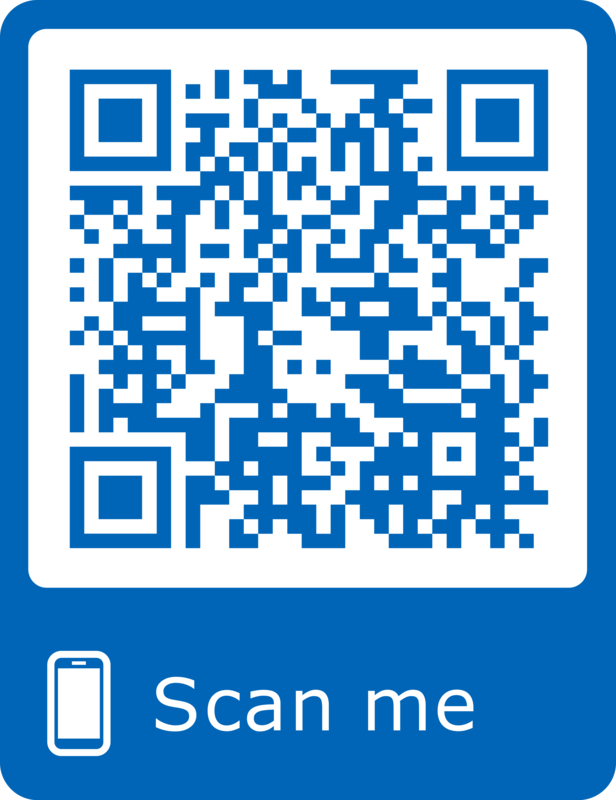 This leaflet has been produced to give you general information. Most of your questions should be answered by this leaflet and it is not intended to replace the discussion between you and the healthcare team. If after reading it you have any concerns or require further explanation, please discuss this with a member of the healthcare team. Have you ever been diagnosed with Sepsis? If so you could be suffering from Post Sepsis Syndrome. 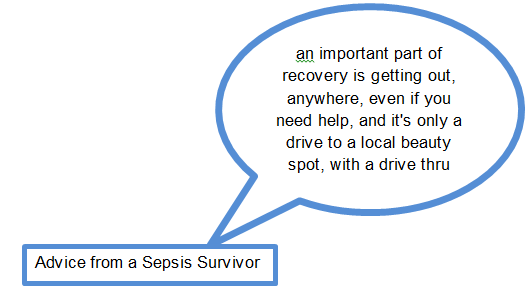 It is important to realise that not everyone will experience problems following sepsis. A lot of people go on to make a full uneventful recovery. Sepsis is another term for severe infection. Sepsis is a relatively new term but severe infections have always been a problem. They used to sometimes be called septicaemia or blood poisoning. Infections are common and most people recover from them without too many problems. Sepsis is less common but can be very serious. Sepsis can move from a mild illness to a serious one very quickly, which can be very frightening for patients and their relatives. This abnormal reaction of the immune system can happen to anyone in response to any infection but it is most common with bacterial infections such as pneumonia (chest infection), meningitis or urinary tract infections (water infection). Some survivors will experience a variety of physical, psychological and emotional problems (some of which are listed over the page) while recovering from Sepsis. 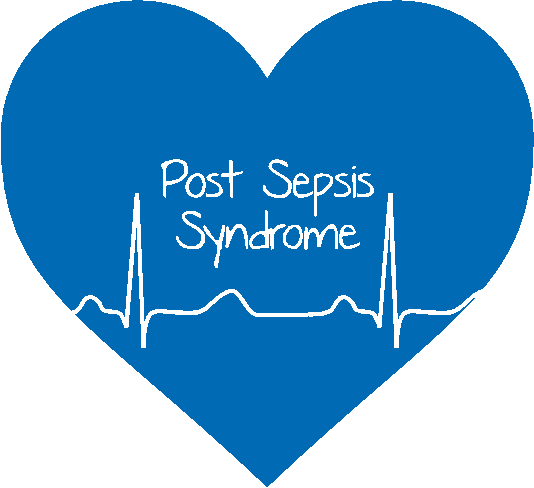 This group of problems has become known as Post Sepsis Syndrome (PSS). These problems commonly last 6 to 18 months but can go on for years for some. The reasons why some people get Post Sepsis Syndrome are not well understood. Most people are unaware of the problem – including employers, healthcare professionals, family and friends. More often than not the person experiencing PSS will look well and it may be some time since their Sepsis, so many people will often expect that they should be better now. This can make it a very lonely place for someone who is experiencing PSS and some people even start to doubt themselves and wonder if they are imagining these problems. What treatment is available for post sepsis syndrome? There is no specific treatment for PSS and there are no doctors that specialise in looking after patients who have PSS. Most people with PSS will get better with time. In the meantime, it is a case of managing the individual problems that occur and looking after yourself while you are recovering. You should make your family and friends aware of PSS and give them information to read so they can gain some understanding of what you are going through. Do not suffer in silence, it is common to think that people around you are weary of listening to you, meaning you keep all your problems and worries to yourself. Talk to them and let them know how you feel, it will help you all to understand what is happening and get through this difficult time. Not all doctors know about PSS so it may be helpful when you see them to take some information about PSS with you, such as this leaflet. It is important that your doctor assesses your symptoms and excludes any other causes of the problems you are experiencing. Your doctor may refer you to a different professional to help manage your individual PSS problems such as pain specialist to manage your pain, a counsellor, psychologist or psychiatrist to manage mental health and emotional problems or a physio or occupational therapist to help manage fatigue. If you are experiencing some of the problems of PSS it is important to remember that it is not just you. There are many other people who are having the same problems and these are part of the process of recovery. Progress can be very slow with many ups and downs and sometimes you have to look back to where you started so you can see how far you have come. In some survivors the immune system, which would normally help them fight off infections, is not as effective following their sepsis. The result of this is they find they are getting one infection after another. This could be coughs and colds, repeated water infections or a wound infection that keeps coming back. It can be scary to get recurring infections when recovering from sepsis as many people are very anxious that they may get Sepsis again. For most people, early medical consultation and treatment with antibiotics treat the infection and it does not progress to anything worse. It is however important for you and people close to you to be aware of this problem and not to neglect any infections you have. Make sure they know the signs of Sepsis and seek urgent medical attention if concerned.